The human body as a mechanism is far from perfect. It can be beaten or surpassed at almost every point by some product of the machine-shop or some animal. It does almost nothing perfectly or with absolute precision. As Huxley most unexpectedly remarked a score of years ago, “If a manufacturer of optical instruments were to hand us for laboratory use an instrument so full of defects and imperfections as the human eye, we should promptly decline to accept it and return it to him. But,” as he went on to say, “while the eye is inaccurate as a microscope, imperfect as a telescope, crude as a photographic camera, it is all of these in one.” In other words, like the body, while it does nothing accurately and perfectly, it does a dozen different things well enough for practical purposes. It has the crowning merit, which overbalances all these minor defects, of being able to adapt itself to almost every conceivable change of circumstances. The human automobile in its million-year endurance-run has had to learn to become self-repairing; and well has it learned its lesson. Not only, in the language of the old saw, is there “a remedy for every evil under the sun,” but in at least eight cases out of ten that remedy will be found within the body itself. Generations ago this self-balancing, self-repairing power was recognized by the more thoughtful fathers in medicine and even dignified by a name in their pompous Latinity, thevis medicatrix naturæ, the healing power of nature. In the new conception of disease, our drugs, our tonics, our prescriptions and treatments, are simply means of rousing this force into activity, assisting its operations, or removing obstacles in its way. This remedial power does not imply any gift of prophecy on nature’s part, nor is it proof of design, or beneficent intention. It is rather one of those blind reactions to certain stimuli, tending to restore the balance of the organism, much as that interesting, new scientific toy, the gyroscope car, will respond to pressure exerted or weight placed upon one side by rising on that side, instead of tipping over. Let the onslaught of disease be sufficiently violent and unexpected, and nature will fail to respond in any way. However, a great, broad, consoling and fundamental fact remains: that in a vast majority of diseases which attack humanity, under ninety per cent of the unfavorable influences which affect us, nature will effect a cure if not too much interfered with. As the old proverb has it, “A man at forty is either a fool or a physician”; and nature is a good deal over forty and has never been accused of lacking intelligence. In the first place, nature must have acquired a fair knowledge of practical medicine, or at least a good working basis for it, from the fact that the body, in the natural processes of growth and activity, is perpetually manufacturing poisons for its own tissues. In this age of sanitary reform, we are painfully aware that the most frequent causes of human disease are the accumulations about us of the waste products of our own kitchens, barns, and factories. The “bad air” which we hear so frequently and justly denounced as a cause of disease, is air which we have ourselves polluted. This same process has been going on within the body for millions of years. No sooner did three or four cells begin to cling together, to form an organism, a body, than the waste products of the cells in the interior of the group began to form a source of danger for the others. If some means of getting rid of these could not be devised, the group would destroy itself, and the experiment of coöperation, of colony-formation, of organization in fact, would be a failure. Hence, at a very early period we find the development of the rudiments of systems of body-sewerage, providing for the escape of waste poisons through the food-tube, through the kidneys, through the gills and lungs, through the sweat glands of the skin. So that when the body is confronted by actual disease, it has all ready to its hand a remarkably effective and resourceful system of sanitary appliances, sewer-flushing, garbage-burning, filtration. In fact, this is precisely what it does when attacked by poisons from without: it neutralizes and eliminates them by the same methods which it has been practicing for millions of years against poisons from within. Take, for instance, such a painfully familiar and unheroic episode as an attack of colic. It makes little difference whether the attack is due to the swallowing of some mineral poison, like lead or arsenic, or the irritating juice of some poisonous plant or herb, or to the every-day accident of including in the menu some article of diet which was beginning to spoil or decay, and which contained the bacteria of putrefaction or their poisonous products. The reaction of defense is practically the same, varying only with the violence and the character of the poison. If the dose of poisonous substances be unusually large or virulent, nature may short-circuit the whole attack by causing the outraged stomach to reject its contents. The power of “playing Jonah” is a wonderful safety-valve. If the poison be not sufficiently irritating thus to short-circuit its own career, it may get on into the intestines before the body thoroughly wakes up to its presence. This part of the food-tube being naturally geared to discharge its contents downward, the simplest and easiest thing is to turn in a hurry call and cut down the normal schedule from hours to minutes, with the familiar result of an acute diarrh[oe]a. 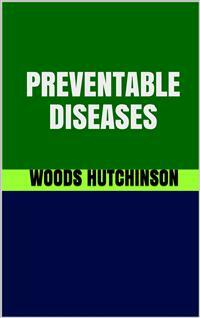 Both vomiting and purging are defensive actions on nature’s part, remedies instead of diseases. Yet we are continually regarding and treating them as if they were diseases in themselves. Nothing could be more irrational than to stop a diarrh[oe]a before it has accomplished its purpose. Intelligent physicians now assist it instead of trying to check it in its early stages; and paradoxical as it may sound, laxatives are often the best means of stopping it. It is only the excess of this form of nature’s house-cleaning which needs to be checked. Many of the popular Colic Cures, Pain-Relievers, and “Summer Cordials” contain opium which, while it relieves the pain and stops the discharge, simply locks up in the system the very poisons which it was trying to get rid of. Laxatives, intestinal antiseptics, and bowel irrigations have almost taken the place of opiates in the treatment of these conditions in modern medicine. We try to help nature instead of thwarting her. Supposing that the poison be of more insidious form, a germ or a ptomaine, for instance, which slips past these outer “firing-out” defenses of the food-tube and arouses no suspicion of its presence until it has been partially digested and absorbed into the blood. Again, resourceful nature is ready with another line of defense. It was for a long time a puzzle why every drop of the blood containing food and its products absorbed from the alimentary food-canal had to be carried, often by a most roundabout course, to and through the liver, before it could reach any part of the general system. Here was the largest and most striking organ in the body, and it was as puzzling as it was large. We knew insome crude way that it “made blood,” that it prepared the food-products for use by the body-cells, and that it secreted the bile; but this latter secretion had little real digestive value, and the other changes seemed hardly important enough to demand that every drop of the blood coming from the food-tube should pass through this custom-house. Now, however, we know that in addition to its other actions, the liver is a great poison-sponge or toxin-filter, for straining out of the blood poisonous or injurious materials absorbed from the food, and converting them into harmless substances. It is astonishing what a quantity of these poisons, whether from the food or from germs swallowed with it, the liver is capable of dealing with destroying them, converting them, and acting as an absolute barrier to their passage into the general system. But sometimes it is overwhelmed by appalling odds; some of the invaders slip through its lines into the general circulation, producing headache, backache, fever, and a “dark-brown taste in the mouth”; and, behold, we are bilious, and proceed to blame the poor liver. We used to pour in remedies to “stir it up,” to “work on it”, which was about as rational as whipping a horse when he is down, instead of cutting his harness or taking his load off. Nowadays we stop the supply of further food-poisons by stopping eating, assist nature in sweeping out or neutralizing the enemies that are still in the alimentary canal, flush the body with pure water, put it at rest and trust the liver. Biliousness is a sign of an overworked liver. If it wasn’t working at all, we shouldn’t be bilious: we should be dead, or in a state of collapse. Moral: Don’t rush for some remedy with which to club into insensibility every symptom of disease as soon as it puts in an appearance. Give nature a little chance to show what she intends to do before attempting to stop her by dosing yourself with some pain-reliever or colic cure. Don’t trust her too blindly, for the best of things may become bad in extremes, and the body may become so panic-stricken as to keep on throwing overboard, not merely the poisons, but its necessary daily food, if the process be allowed to continue too long. This is where the doctor comes in. This is the point at which it takes brains to succeed in the treatment of disease to decide just how far nature knows what she is doing, even in her most violent expulsive methods, and is to be helped; and just when she has lost her head, or got into a bad habit, and must be thwarted. This much we feel sure of, and it is one of the keynotes of the attitude of modern medicine, that a large majority of the symptoms of disease are really nature’s attempts to cure it. This is admirably shown in our modern treatment of fevers. These we now know to be due to the infection of the body by more or less definitely recognized disease-germs or organisms. Fever is a complicated process, and we are still in the dark upon many points in regard to it, but we are coming more and more firmly to the conclusion that most of its symptoms are a part of, or at least incidents in, the fight of the body against the invading army. The flushed and reddened skin is due to the pumping of large quantities of blood through its mesh, in order that the poisons may be got rid of through the perspiration. The rapid pulse shows the vigor with which the heart is driving the blood around the body, to have its poisons neutralized in the liver, burned up in the lungs, poured out by the kidneys and the skin. The quickened breathing is the putting on of more blast in the lung poison-crematory. It is possible that even the rise of temperature has an injurious effect upon the invading germs or assists the body in their destruction. In the past we have blindly fought all of these symptoms. We shut our patients up in stove-heated rooms with windows absolutely closed, for fear that they would “catch cold.” We took off the sheets and piled blankets upon the bed, setting a special watch to see that the wretched sufferer did not kick them off. We discouraged the drinking of water and insisted on all drinks that were taken being hot or lukewarm. Nowadays all this is changed. We throw all the windows wide-open, and even put our patients out of doors to sleep in the open air, whether it be typhoid, tuberculosis, or pneumonia; knowing that not only they will not “catch cold,” but that, as their hurried breathing indicates, they need all the oxygen they can possibly get, to burn up the poison poured out in the lungs and from theskin. We encourage the patient to drink all the cool, pure water he will take, sometimes gallons in a day, knowing that his thirst is an indication for flushing and flooding all the great systems of the body sewers. Instead of smothering him in blankets, we put him into cold packs, or put him to soak in cool water. In short, we trust nature instead of defying her, coöperate withher in place of fighting her,and we have cut down the death-rate of most fevers fifty to seventy-five per cent already. Plenty of pure, cool water internally, externally, and eternally, rest, fresh air, and careful feeding, are the best febrifuges and antipyretics known to modern medicine. All others are frauds and simply smother a symptom without relieving its cause, with the exception of quinine in malaria, mercury, and the various antitoxins in their appropriate diseases, which act directly upon the invading organism. Underneath all this storm and stress of the fever paroxysm, nature is quietly at work elaborating her antidote. In some marvelous fashion, which we do not even yet fully understand, the cells of the body are producing in ever-increasing quantities ananti-body, orantitoxin, which will unite with the toxin or poison produced by the hostile germs and render it entirely harmless. By a curious paradox of the process, it does not kill the germs themselves. It may not even stop their further multiplication. Indeed, it utilizes part of their products in the formation of the antitoxin; but it domesticates them, as it were--turns them from dangerous enemies into harmless guests. The treaty between these germs and the body, however, is only of the “most-favored-nation” class; for let these tamed and harmless friends of the family escape and enter the body of another human being, and they will attack it as virulently as ever. Now, where and how did nature ever succeed in getting the rehearsal and the practice necessary to build up such an extraordinary and complicated system of defense as this? Take your microscope and look at a drop of fluid from the mouth, the gums, the throat, the stomach, the bowels, and you will find it simply swarming with bacteria, bacilli, and cocci, each species of which numbers its billions. There are thirty-three species which inhabit the mouth and gums alone! We are literally alive with them; but most of them are absolutely harmless, and some of them probably slightly helpful in the processes of digestion. In fevers and infections the body merely applies to disease-germs the tricks which it has learned in domesticating these millions of harmless vegetable inhabitants. Still more curious--there is a distinct parallel between the method in which food-materials are split up and prepared for assimilation by the body, and the method adopted in breaking up and neutralizing the toxins of disease-germs. It is now known that poisons are formed in the process of digesting and absorbing the simplest and most wholesome foods; and the liver uses the skill which it has gained in dealing with these “natural poisons” in disposing of the toxins of germs. When a fever has run its course, as we now know nearly all infections do, within periods ranging from three or four days to as many weeks, it simply means that it has taken the liver and the other police-cells this length of time to handle the rioters and turn them into peaceable and law-abiding, even though not well-disposed citizens. In this process the forces of law and order can be materially helped by skillful and intelligent coöperation. But it takes brains to do it and avoid doing more harm than good. It requires far more intelligence on the part of the doctor, the nurse, or the mother, skillfully to help nature than it did blindly to fight her. This is what doctors and nurses are trained for nowadays, and they are of use in the sick-room simply because they have devoted more time and money to the study of these complicated processes than you have. Don’t imagine that calling in the doctor is going to interfere with the natural course of the disease, or rob the patient of some chance he might have had of recovering by himself. On the contrary, it will simply give nature and the constitution of the patient a better chance in the struggle, probably shorten it, and certainly make it less painful and distressing. If these symptoms of the summer fevers and fluxes are indicative of nature’s attempts to cure, those of the winter’s coughs and colds are no less clearly so. As we walk down the streets, we seestaring at us in large letters from a billboard, “Stop that Cough! It is Killing you!” Yet few things could be more obvious to even the feeblest intelligence, than that this “killing” cough is simply an attempt on the part of the body to expel and get rid of irritating materials in the upper air-passages. As long as your larynx and windpipe are inflamed or tickled by disease-germs or other poisons, your body will do its best to get rid of them by coughing, or, if they swarm on the mucous membrane of the nose, by sneezing. To attempt to stop either coughing or sneezing without removing the cause is as irrational as putting out a switch-light without closing the switch. Though this, like other remedial processes, may go to extremes and interfere with sleep, or upset the stomach, within reasonable limits one of the best things to do when you have a cold is to cough. When patients with severe inflammations of the lungs become too weak or too deeply narcotized to cough, then attacks of suffocation from the accumulation of mucus in the air-tubes are likely to occur at any time. Young children who cannot cough properly, not having got the mechanism properly organized as yet, have much greater difficulty in keeping their bronchial tubes clear in bronchitis or pneumonia than have grown-ups. Most colds are infectious, like the fevers, and like them run their course, after which the cough will subside along with the rest of the symptoms. But simply stopping the cough won’t hasten the recovery. Most popular “Cough-Cures” benumb the upper throat and stop the tickling; smother the symptoms without touching the cause. Many contain opium and thus load the system with two poisons instead of one. Lastly, in the realm of the nervous system, take that commonest of all ills that afflict humanity headache. Surely, this is not a curative symptom or a blessing in disguise, or, if so, it is exceedingly well disguised. And yet it unquestionably has a preventive purpose and meaning. Pain, wherever found, is nature’s abrupt command, “Halt!” her imperative order to stop. When you have obeyed that command, you have taken the most important single step towards the cure.A headache always means something--overwork, under-ventilation, eye-strain, underfeeding, infection. Some error is being committed, some bad physical habit is being dropped into. There are a dozen different remedies that will stop the pain, from opium and chloroform down to the coal-tar remedies (phenacetin, acetanilid, etc.) and the bromides. But not one of them “cures,” in the sense of doing anything toward removing the cause. In fact, on the contrary they make the situation worse by enabling the sufferer to keep right on repeating the bad habit, deprived of nature’s warning of the harm that he is doing to himself. As the penalties of this continued law-breaking pile up, he requires larger and larger doses of the deadening drug, until finally he collapses, poisoned either by his own fatigue-products or by the drugs which he has been taking to deaden him against their effect. In fine, follow nature’s hints whenever she gives them: treat pain by rest, infections by fresh air and cleanliness, the digestive disturbances by avoiding their cause and helping the food-tube to flush itself clean; keep the skin clean, the muscles hard, and the stomach well filled--and you will avoid nine-tenths of the evils which threaten the race. Our attainment of any clear view of the essential nature of disease was for a long time hindered, and is even still to some degree clogged, by the standpoint from which we necessarily approached and still approach it, not for the study of the disease itself, but for the relief of its urgent symptoms. Disease presents itself as an enemy to attack, in the concrete form of a patient to be cured; and our best efforts were for centuries almost wasted in blind, and often irrational, attempts to remove symptoms in the shortest possible time, with the most powerful remedies at our disposal, often without any adequate knowledge whatever of the nature of the underlying condition whose symptoms we were combating, or any suspicion that these might be nature’s means of relief, or that “haply we should be found tofight against God.” There was sadly too much truth in Voltaire’s bitter sneer, “Doctors pour drugs of which they know little, into bodies of which they know less”; and I fear the sting has not entirely gone out of it even in this day of grace. And yet, relative and non-essential as all our definitions now recognize disease to be, it is far enough (God knows) from being a mere negative abstraction, a colorless “error by defect.” It has a ghastly individuality and deadly concreteness,nay, even a vindictive aggressiveness, which have both fascinated and terrorized the imagination of the race in all ages. From the days of “the angel of the pestilence” to the coming of the famine and the fever as unbidden guests into the tent of Minnehaha; from “the pestilence that walketh in darkness” to the plague that still “stalks abroad” in even the prosaic columns of our daily press, there has been an irresistible impression, not merely of the positiveness, but even of the personality of disease. And no clear appreciation can possibly be had of our modern and rational conceptions of disease without at least a statement of the earlier conceptions growing out of this personifying tendency. Absurd as it may seem now, it was the legitimate ancestor of modern pathogeny, and still holds well-nigh undisputed sway over the popular mind, and much more than could be desired over that of the profession. The earliest conception of disease of which we have any record is, of course, the familiar Demon Theory. This is simply a mental magnification of the painfully personal, and even vindictive, impression produced upon the mind of the savage by the ravages of disease. And certainly we of the profession would be the last to blame him for jumping to such a conclusion. Who that has seen a fellow being quivering and chattering in the chill-stage of a pernicious malarial seizure, or tossing and raving in the delirium of fever, or threatening to rupture his muscles and burst his eyes from their sockets in the convulsions of tetanus or uræmia, can wonder for a moment that the impression instinctively arose in the untutored mind of the Ojibwa that the sufferer was actually in the grasp, and trying to escape from the clutch, of some malicious but invisible power? And from this conception the treatment logically followed. The spirits which possessed the patient, although invisible, were supposed to be of like passions with ourselves, and to be affected by very similar influences; hence dances, terrific noises, beatings and shakings of the unfortunate victim, and the administration of bitter and nauseous messes, with the hope of disgusting the demon with his quarters, were the chief remedies resorted to. And while to-day such conceptions and their resultant methods are simply grounds for laughter, and we should probably resent the very suggestion that there was any connection whatever between the Demon Theory and our present practice, yet, unfortunately for our pride, the latter is not only the direct lineal, historic descendant of the former, but bears still abundant traces of its lowly origin. It will, of course, be admitted at once that the ancestors of our profession, historically, the earliest physicians, were the priest, the Shaman, and the conjurer, who even to this day in certain tribes bear the suggestive name of “medicine men.” Indeed, this grotesque individual was neither priest nor physician, but the common ancestor of both, and of the scientist as well. And, even if the history of this actual ancestry were unknown, there are scores of curious survivals in the medical practice of this century, even of to-day, which testify to the powerful influence of this conception. The extraordinary and disgraceful prevalence of bleeding scarcely fifty years ago, for instance; the murderous doses of calomel and other violent purges; the indiscriminate use of powerful emetics like tartar emetic and ipecac; the universal practice of starving or “reducing” fevers by a diet of slops, were all obvious survivals of the expulsion-of-the-demon theory of treatment. Their chief virtue lay in their violence and repulsiveness. Even to-day the tendency to regard mere bitterness or distastefulness as a medicinal property in itself has not entirely died out. This is the chief claim of quassia, gentian, calumbo, and the “simple bitters” generally, to a place in our official lists of remedies. Even the great mineral-water fad, which continues to flourish so vigorously, owed its origin to the superstition that springs which bubbled or seethed were inhabited by spirits (of which the “troubling of the waters” in the Pool of Bethesda is a familiar illustration). The bubble and (in both senses) “infernal” taste gave them theirreputation, the abundant use of pure spring water both internally and externally works the cure, assisted by the mountain air of the “Bad,” and we sapiently ascribe the credit to the salts. Nine-tenths of our cells are still submarine organisms, and water is our greatest panacea. Then came the great “humoral” or “vital fluid” theory of disease which ruled during the Middle Ages. According to this, all disease was due to the undue predominance in the body of one of the four great vital fluids,the bile, the blood, the nervous “fluid,” and the lymph,and must be treated by administering the remedy which will get rid of or counteract the excess of the particular vital fluid in the system. The principal traces of this belief are the superstition of the four “temperaments,” thebilious, thesanguine, thenervous, and thelymphatic, and our pet term “biliousness,” so useful in explaining any obscure condition. Last ofall, in the fullness of time,and an incredibly late fullness it was,under the great pioneer Virchow, who died less than a decade ago, was developed the great cellular theory, a theory which has done more to put disease upon a rational basis, to substitute logic for fancy, and accurate reasoning for wild speculation, than almost any discovery since the dawn of history. Its keynote simply is, that every disturbance to which the body is liable can be ultimately traced to some disturbance or disease of the vital activities of the individual cells of which it is made up. The body is conceived of as a cell-state or cell-republic, composed of innumerable plastid citizens, and its government, both in health and disease, is emphatically a government “of the cells, by the cells, for the cells.” At first these cell-units were regarded simply as geographic sections, as it were, sub-divisions of the tissues, bearing much the same relation to the whole body as the bricks of the wall do to the building, or, from a little broader view, as the Hessians of a given regiment to the entire army. They were merely the creatures of the organism as a whole, its servants who lived but to obey its commands and carry out its purposes, directed in purely arbitrary and despotic fashion by the lordly brain and nerve-ganglia, which again are directed by the mind, and that again by a still higher power. In fact, they were regarded as, so to speak, individuals without personality, mere slaves and helots under the ganglion-oligarchy which was controlled by the tyrant mind, and he but the mouthpiece of one of the Olympians. But time has changed all that, and already the triumphs of democracy have been as signal in biology as they have been in politics, and far more rapid. The sturdy little citizen-cells have steadily but surely fought their way to recognition as the controlling power of the entire body-politic, have forced the ganglion-oligarchy to admit that they are but delegates, and even the tyrant mind to concede that he rules by their sufferance alone. His power is mainly a veto, and even that may be overruled by the usual two-thirds vote. In fact, if we dared to presume to criticise this magnificent theory of disease, we would simply say that it is not “cellular” enough, that it hardly as yet sufficiently recognizes the individuality, the independence, the power of initiative, of the single constituent cell. It is still a little too apt to assume, because a cell has donned a uniform and fallen into line with thousands of its fellows to form a tissue in most respects of somewhat lower rank than that originally possessed by it in its free condition, that it has therefore surrendered all of its rights and become a mere thing, a lever or a cog in the great machine. Nothing could be further from the truth, and I firmly believe that our clearest insight into and firmest grasp upon the problems of pathology will come from a recognition of the fact that, no matter how stereotyped, or toil-worn, or even degraded, the individual cells of any tissue may have become, they still retain most of the rights and privileges which they originally possessed in their free and untrammeled am[oe]boid stage, just as in the industrial community of the world about us. And, although their industry in behalf of and devotion to the welfare of the entire organism is ever to be relied upon, and almost pathetic in its intensity, yet it has its limits, and when these have been transgressed they are as ready to “fight for their own hand,” regardless of previous conventional allegiance, as ever were any of their ancestors on seashore or rivulet-marge. And such rebellions are our most terrible disease-processes, cancer and sarcoma. More than this: while, perhaps, in themajority of cases the cell does yeoman service for the benefit of the body, in consideration of the rations and fuel issued to it by the latter, yet in many cases we have the curious, and at first sight almost humiliating, position of the cell absorbing and digesting whatever is brought to it, and only turning over the surplus or waste to the body. It would almost seem as if our lordlyEgowas living upon the waste-products, or leavings, of the cells lining its food-tube. Let us take a brief glance at the various specializations and trade developments, which have taken place in the different groups of cells, and see to what extent the profound modifications which many of them have undergone are consistent with their individuality and independence, and also whether such specialization can be paralleled by actually separate and independent organisms existing in animal communities outside of the body. First of all, because furthest from the type and degraded to the lowest level, we find the great masses of tissue welded together by lime-salts, which form the foundation masses, leverage-bars, and protection plates for the higher tissues of the body. Here the cells, in consideration of food, warmth, and protection guaranteed to themselves and their heirs for ever by the body-state, have, as it were, deliberately surrendered their rights of volition, of movement, and higher liberties generally, and transformed themselves into masses of inorganic material by soaking every thread of their tissues in lime-salts and burying themselves in a marble tomb. Like Esau, they have sold their birthright for a mess of “potash,” or rather lime; and if such a class or caste could be invented in the external industrial community, the labor problem and the ever-occurring puzzle of the unemployed would be much simplified. And yet, petrified and mummified as they have become, they are still emphatically alive, and upon the preservation of a fair degree of vigor in them depends entirely the strength and resisting power of the mass in which they are embedded, and of which they form scarcely a third. Destroy the vitality of its cells, and the rock-like bone will waste away before the attack of the body-fluids like soft sandstone under the elements. Shatter it, or twist it out of place, and it will promptly repair itself, and to a remarkable degree resume its original directions and proportions. So little is this form of change inconsistent with the preservation of individualism, that we actually find outside of the body an exactly similar process, occurring in individual and independent animals, in the familiar drama of coral-building. The coral polyp saturates itself with the lime-salts of the sea-water, much as the bone-corpuscles with those of the blood and lymph, and thus protects itself in life and becomes the flying buttress of a continent in death. In the familiar connective-tissue, or “binding-stuff,” we find a process similar in kind but differing in the degree, so to speak, of its degradation. The quivering responsiveness of the protoplasm of the am[oe]boid ancestral cell has transformed itself into tough, stringy bands and webs for the purpose of binding together the more delicate tissues of the body. It has retained more of its rights and privileges, and consequently possesses a greater amount of both biological and pathological initiative. In many respects purely mechanical in its function, fastening the muscles to the bones, the bones to each other, giving toughness to the great skin-sheet, and swinging in hammock-like mesh the precious brain-cell or potent liver-lobule, it still possesses and exercises for the benefit of the body considerable powers of discretion and aggressive vital action. Through its activity chiefly is carried out that miracle of human physiology, the process of repair. By the transformation of its protoplasm the surplus food-materials of the times of plenty are stored away within its cell-wall against the time of stress. Whatever emergency may arise, nature, whatever other forces she may be unable to send to the rescue, can always depend upon the connective-tissues to meet it; and, of course, as everywhere the medal of honor has its reverse side, their power for evil is as distinguished as their power for good. From their ranks are recruited a whole army of those secessions from and rebellions against the body at large the tumors, from the treacherous and deadly sarcoma, or “soft cancer,” to the harmless fatty tumor, as well as the tubercle, the gumma of syphilis, the interstitial fibrosis of Bright’s disease. They are the sturdy farmers and ever ready “minute-men” of the cell-republic, and we find their prototypeand parallel in the external world, both in material structure and degree of vitality, in the well-known sponge and its colonies. Next in order, and, in fact, really forming a branch of the last, we find the great group of storage-tissues, the granaries or bankers of the body-politic, distinguished primarily, like the capitalist class elsewhere, by an inordinate appetite, not to say greed. They sweep into their interior all the food-materials which are not absolutely necessary for the performance of the vital function of the other cells. These they form first into protoplasm, and then by a simple degenerative process it is transformed, “boiled down” as it were, into a yellow hydrocarbon which is capable of storage for practically an indefinite period. Not a very exalted function, and yet one of great importance to the welfare of the entire body, for, like the Jews of the Middle Ages, the fat-cells, possessing an extraordinary appetite for and faculty of acquiring surplus wealth in times of plenty, can easily be robbed of it and literally sucked dry in times of scarcity by any other body-cell which happens to need it, especially by the belligerent military class of muscle-cells. In fever or famine, fat is the first element of our body-mass to disappear; so that Proudhon would seem to have some biological basis for his demand for theper capitadivision of the fortunes of millionaires. And yet, rid the fat-cell of the weight of his sordid gains, gaunt him down, as it were, like a hound for the wolf-trail, and he becomes at once an active and aggressive member of the binding-stuff group, ready for the repair of a wound or the barring out of a tubercle-bacillus. And this form of specialization has also its parallel outside of the body in one of the classes in a community of Mexican ants, whose most distinguishing feature is an enormously distended [oe]sophagus, capable of containing nearly double the weight of the entire remainder of the body. They are neither soldiers nor laborers, but accompany the latter in their honey-gathering excursions, and as the spoils are collected they are literally packed full of the sweets by the workers. When distended to their utmost capacity they fall apparently into a semi-comatose condition, are carried into the ant-hill, and hung up by the hind legs in a specially prepared chamber, in which (we trust) enjoyable position and state they are left until their contents are needed for the purposes of the community, when they are waked up, compelled to disgorge, and resume their ordinary life activities until the next season’s honey-gathering begins. It scarcely need be pointed out what an unspeakable boon to the easily discouraged and unlucky the introduction of such a class as this into the human industrial community would be, especially if this method of storage could be employed for certain liquids. Another most important class in the cell-community is the great group of the blood-corpuscles, which in some respects appear to maintain their independence and freedom to a greater degree than almost any other class which can be found in the body. While nearly all other cells have become packed or felted together so as to form a fixed and solid tissue, these still remain entirely free and unattached. They float at large in the blood-current, much as their original ancestor, the am[oe]ba, did in the water of the stagnant ditch. And, curiously enough, the less numerous of the two great classes, the white, or leucocytes, are in appearance, structure, pseudopodic movements, and even method of engulfing food, almost exact replicas of their most primitive ancestor. There is absolutely no fixed means of communication between the blood-corpuscles and the rest of the body, not even by the tiniest branch of the great nerve-telegraph system, and yet they are the most loyal and devoted class among all the citizens of the cell-republic. They are called hither and thither partly by messenger-substances thrown into the blood, known ashormones, partly by the “smell of the battle afar off,” the toxins of inflammation and infection as they pour through the blood. The red ones lose their nuclei, their individuality, in order to become sponges, capable of saturating themselves with oxygen and carrying it to the gasping tissues. The white are the great mounted police, the sanitary patrol of the body. The moment that the alarm of injury is sounded in a part, all the vessels leading to it dilate, and their channels are crowded by swarms of the red and white hurrying to the scene. The major part of the activity of the red cells can be accounted for by the mechanism of theheart and blood-vessels. They are simply thrown there by the handful and the shovelful, as it were, like so many pebbles or bits of chalk. But the behavior of the white cells goes far beyond this. We are almost tempted to endow them with volition, though they are of course drawn or driven by chemical and physical attractions, like iron-filings by a magnet, or an acid by a base. Not only do all those normally circulating in the blood flowing through the injured part promptly stop and begin to scatter themselves through the underbrush and attack the foe at close quarters, but, as has been shown by Cabot’s studies in leucocytosis, the moment that the red flag of fever is hoisted, or the inflammation alarm is sounded, the leucocytes come rushing out from their feeding-grounds in the tissue-interspaces, in the lymph-channels, in the great serous cavities, and pour themselves into the blood-stream, like minute-men leaving the plough and thronging the highways leading towards the frontier fortress which has been attacked. Arrived at the spot, if there be little of the pomp and pageantry of war in their movements, their practical devotion and heroism are simply unsurpassed anywhere, even in song and story. They never think of waiting for reinforcements or for orders from headquarters. They know only one thing, and that is to fight; and when the body has brought them to the spot, it has done all that is needed, like the Turkish Government when once it has got its sturdy peasantry upon the battlefield: they have not even the sense to retreat. And whether they be present in tens, or in scores, or in millions, each one hurls himself upon the toxin or bacillus which stands directly in front of him. If he can destroy the bacillus and survive, so much the better; but if not, he will simply overwhelm him by the weight of his body-mass, and be swept on through the blood-stream into the great body-sewers, with the still living bacillus literally buried in his dead body. Like Arnold Winkelried, he will make his body a sheath for a score of the enemy’s spears, so that his fellows can rush in through the gap that he has made. And it makes no difference whatever if the first ten or hundred or thousand are instantly mowed down by the bacillus or its deadly toxins, the rear ranks sweep forward without an instant’s hesitation, and pour on in a living torrent, like the Zuluimpisat Rorke’s Drift, until the bacilli are battered down by the sheer impact of the bodies of their assailants, or smothered under the pile of their corpses. When this has happened, in the language of the old surgeon-philosophers, “suppuration is established,” and the patient is saved. Or if, as often happens, an antitoxin is formed, which protects the whole body, this is largely built out of substances set free from the bodies of slain leucocytes. And the only thing that dims our vision to the wonder and beauty of this drama, is that it happens every day, and we term it prosaically “the process of repair,” and expect it as a matter of course. Every wound-healing is worthy of an epic, if we could only look at it from the point of view of these citizens of our great cell-republic. And if we were to ask the question, “Upon what does their peculiar value to the body-politic depend?” we should find that it was largely the extent to which they retained their ancestral characteristics. They are born in the lymph-nodes, which are simply little islands of tissue of embryonic type, preserved in the body largely for the purpose of breeding this primitive type of cells. They are literally the Indian police, the scavengers, the Hibernians, as it were, of the entire body. They have the roving habits and fighting instincts of the savage. They cruise about continually through the waterways and marshes of the body, looking for trouble, and, like their Hibernian descendants, wherever they see a head they hit it. They are the incarnation of the fighting spirit of our ancestors, and if it were not for their retention of this characteristic in so high a degree, many classes of our fixed cells would not have been able to subside into such burgher like habits. Although even here, as we shall see, it is only a question of quickness of response, for while the first bands of the enemy may be held at bay by the leucocyte cavalry, and a light attack repelled by their skirmish-line, yet when it comes to the heavy fighting of a fever-invasion, it is the slow but substantial burgher-like fixed cells of the body which form the real infantry masses of the campaign. And I believe that upon the proportional relation between these primitive and civilized cells of ourbody-politic will depend many of the singular differences, not only in degree but also in kind, in the immunity possessed by various individuals. While some surgeons and anatomists will show a temperature from the merest scratch, and yet either never develop any serious infection or display very high resisting power in the later stages, others, again, will stand forty slight inoculations with absolute impunity, and yet, when once the leucocyte-barrier is broken down, will make apparently little resistance to a fatal systemic infection. And this, of course, is only one of a score of ways in which the leucocytes literallypro patria moriuntur. Our whole alimentary canal is continually patrolled by their squadrons, poured into it by the tonsils above and Peyer’s patches below; if it were not for them we should probably be poisoned by the products of our own digestive processes. If, then, the cells of the body-republic retain so much of their independence and individuality in health, does it not seem highly probable that they do also in disease? This is known to be the case already in many morbid processes, and their number is being added to every day. The normal activities of any cell carried to excess may constitute disease, by disturbing the balance of the organism. Nay, most disease-processes on careful examination are found to be at bottom vital, often normal to the cells concerned in them. The great normal divisions of labor are paralleled by the great processes of degeneration into fat, fibrous tissue, and bone or chalk. A vital chemical change which would be perfectly healthy in one tissue or organ, in another may be fatal. Ninety-nine times out of a hundred any group of cells acts loyally in the interests of the body; once in a hundred some group acts against them, and for its own, and disease is the result. There is a perpetual struggle for survival going on between the different tissues and organs of the body. Like all other free competition, as a rule, it inures enormously to the benefit of the body-whole. Exceptionally, however, it fails to do so, and behold disease. This struggle and turmoil is not only necessary to life, it is life. Out of the varying chances of its warfare is born that incessant ebb and flow of chemical change, that inability to reach an equilibrium, which we term “vitality.” The course of life, like that of a flying express train, is not a perfectly straight line, but an oscillating series of concentric curves. Without these oscillations movement could not be. Exaggerate one of them unduly, or fail to rectify it by a rebound oscillation, and you have disease. Or it is like the children’s game of shuttlecock. So long as the flying shuttle keeps moving in its restless course to and fro, life is. A single stop is death. The very same blow which, rightly placed, sends it like an arrow to the safe centre of the opposing racket, if it fall obliquely, or even with too great or too little force, drives it perilously wide of its mark. It can recover the safe track only by a sudden and often violent lunge of the opposing racket. The straight course is life, the tangent disease, the saving lunge recovery. One and the same force produces all. In the millions of tiny blows dealt every minute in our body-battle, what wonder if some go wide of the mark! It isn’t the good, either in the forces of nature or in our fellows, that keeps us watchful, but the evil. Hence our proneness to declare in all ages that evil is stronger than good and that “all men are liars.” One injury done us by storm, by sunstroke, by lightning-flash, will make a more lasting impression upon our memories than a thousand benefits conferred by these same forces. Besides, evil has to be sharply looked out for and guarded against. Well enough can be safely let alone. The conviction is steadily growing, among both physicians and biologists, that this attitude has caused a serious, if not vital, misconception of the influence of that great conservative and preservative force of nature,heredity. We hear a great deal of hereditary disease, hereditary defect, hereditary insanity, but very little of hereditary powers of recovery, of inherited vigor, and the fact that ninety-nine and seven-tenths per cent of us are sane. One instance of hereditary defect, of inherited degeneracy, fills us with horror and stirs us to move Heaven and earth to prevent another such. The inheritance of vigor, of healthfulness, and of sanity we placidly accept as a matter of course and bank upon it in our plans for the future, without so much as a thank you to the force that underlies it. When once we clear away these inherited misconceptions and look the facts of the situation squarely in the face, we find that heredity is at least ten times as potent and as frequently concerned in the transmission and securing of health and vigor as of disease and weakness; that its influence on the perpetuation of bodily and mental defects has been enormously exaggerated and that there are exceedingly few hereditary diseases. It is not necessary for our present purpose to enter into a discussion of the innumerable theories of that inevitable tendency of like to beget like, of child to resemble parent, which we call heredity. One reference, however, may be permitted to the controversy that has divided the scientific world: whetheracquiredcharacters, changes occurring during the lifetime of the individual, can be inherited. Disease is nine times out of ten an acquired character; hence, instead of the probabilities being that it would be inherited, the balance of evidence to date points in exactly the opposite direction. The burden of proof as to the inheritance of disease is absolutely upon those who believe in its possibility. Another fundamental fact which renders the inheritance of disease upon apriorigrounds improbable and upon practical grounds obviously difficult, is that characters or peculiarities, in order to be inherited certainly for more than a few generations, must be beneficial and helpful in the struggle. A moment’s reflection will show this to be mathematically necessary, in that any family or race which tended to inherit defects and injurious characters would rapidly go down in the struggle for survival and become extinct. An inherited disease of any seriousness could not run for more than two or three generations in any family, simply for the reason that by the end of that time there would be no family left for it to run in. A slight defect or small peculiarity of undesirable character might run for a somewhat longer period, but even this would tend toward disappearance and elimination by the stern, selective influence of environment. Naturally, this great conservative tendency of nature has, like all other influences, “the defects of its virtues,” as the French say. It has no gifts of prophecy, and in the process of handing down to successive generations those mechanisms and powers which have been found useful in the long, stern struggle of the past, it will also hand down some which, by reason of changes in the environment, are not only no longer useful, but even injurious. As the new light of biology has been turned on the human body and its diseases, it has revealed so many of these “left-overs,” or remnants in the body-machine--some of most dramatic interest--that they at first sight have done much to justify the popular belief in the malignant tendencies of heredity. Yet, broadly considered, the overwhelming majority of them should really be regarded as honorable scars, memorials of ancient victories, monuments to difficulties overcome, significant andencouraging indications of what our body-machine is still capable of accomplishing in the way of further adjustment to conditions in the future. The really surprising thing is not their number, but the infrequency with which they give rise to serious trouble. The human automobile is not only astonishingly well built, with all the improvements that hundreds of thousands of generations of experience have been able to suggest, but it is self-repairing, self-cleaning, and self-improving. It never lets itself get out of date. If only given an adequate supply of fuel and water and not driven too hard, it will stand an astonishing amount of knocking about in all kinds of weather, repairing itself and recharging its batteries every night, supplying its own oil, its own paint and polish, and even regulating its own changes of gear, according to the nature of the work it has to do. Simply as an endurance racer it is the toughest and longest-winded thing on earth and can run down and tire out every paw, pad, or hoof that strikes the ground--wolf, deer, horse, antelope, wild goat. This is only a sample of its toughness and resisting power all along the line. These wide powers of self-support and adjustment overbalance a hundred times any little remnant defects in its machinery or gearing. Easily ninety-nine per cent of all our troubles through life are due to inevitable wear and tear, scarcity of food-fuel, of water, of rest, and external accidents, injuries and infectious diseases. Still, it occasionally happens that these little defects may furnish the point of least resistance at which external stresses and strains will cause the machine to break down. They are often the things which prevent us from living and “going to pieces all at once, all at once and nothing fust, just as bubbles do when they bust,” like the immortal One-Hoss Shay. It is just as well that they should, for, of all deaths to die, the loneliest and the most to be dreaded is that by extreme old age. Thesevestigiaor remnants, instances of apparently hideboundconservatism on nature’s partare very much in the public eye at present, partly on account of their novelty and of their exceptional and extraordinary character. Easily first among these trouble-breeding remnants is that famous, or rather notorious, scrap of intestine, theappendix vermiformis, an obvious survival from that peaceful, ancestral period when we were more largely herbivorous in our diet and required a longer and more complicated food-tube, with larger side pouches in the course of it, to dissolve and absorb our food. Its present utility is just about that of a grain of sand in the eye. Yet, considering that it is present in every human being born into the world, the really astonishing thing is not the frequency with which it causes trouble, but the surprisingly small amount of actual damage that arises from it. Never yet in even the most appendicitis-ridden community has it been found responsible for more than one half of one per cent of the deaths. Then there is that curious and by no means uncommon tendency for a loop of the intestine to escape from the abdominal cavity, which we call hernia. This is one of a fair-sized group of dangers clearly due to the assumption of the erect position and our incomplete adjustment thereto. In the quadrupedal position this necessary weak spota partial opening through the abdominal wall--was developed in that region which was highest from the point of view of gravity and least exposed to strain. In the bipedal position it becomes lowest and most exposed; hence the much greater frequency of hernia in the human species as compared with any of the animals. Another fragment, of the impertinence of whose presence many of us have had painful proof, is the third or last molar, so absurdly misnamed the wisdom tooth. If there be any wisdom involved in its appearance it is of the sort characterized by William Allen White’s delicious definition: “That type of ponderous folly of the middle-aged which we term ‘mature judgment.’“The last is sometimes worst as well as best, and this belated remnant is not only the last to appear, but the first to disappear. In a considerable percentage of cases it is situated so far back in the jaw that there is no room for it to erupt properly, and it produces inflammatory disturbances and painful pressure upon the nerves of the face and the jaw. Even when it does appear it is often imperfectly developed, has fewer cusps and fewer roots than the other molars, is imperfectly covered with enamel and badly calcified. In no small percentage ofcases it does not meet its fellow of the jaw below and hence is almost useless for purposes of mastication. But it comes in every child born into the world, simply because at an earlier day, when our jaws were longer, to give our canine teeth the swing they needed as our chief weapons of defense, there was plenty of room for it in the jaw and it was of some service to the organism. If the Indiana State Legislature would only pass a law prohibiting the eruption of wisdom teeth in future, and enforce it, it would save a large amount of suffering, inconvenience, and discomfort, with little appreciable lack of efficiency! In this list of admitted charges against heredity must also come the gall-bladder, that curious little pouch budded out from the bile ducts, which has so little known utility as compared with its possibility as a starting-point for inflammations, gall-stones, and cancer. And so the list might be drawn out to most impressive length. But this length would be no indication of its real importance, inasmuch as the vast majority of entries upon it would come under the head of pathological curiosities, or conditions which were chiefly interesting on account of their rareness and unusual character. With the exception of the appendix, the gall-bladder, and hernia, these vestigial conditions may be practically disregarded as factors in the death-rate. In the main, when the fullest possible study and recognition have been made of all the traces of experimentation and even of ancient failure that are to be found in this Twentieth Century body-machine of ours, the resulting impression is one of enormously increased respect for and confidence in the machine and its capabilities. While they are of great interest as indicating what the past history and experiences of the engine have been, and of highest value as enabling us to interpret and even anticipate certain weak spots in its construction and joints in its armor, their most striking influence is in the direction of emphasizing the enormous elasticity and resourcefulness of the creature. Not only has it met and survived all these difficulties, but it is continuing the selfsame processes to-day. So far as we are able to judge, it is as young and as adaptable as it ever was, and just as ready to “with a frolic welcome greet the thunder and the sunshine” as it ever was in the dawn of history. These ancestral and experimental flaws, even when unrecognized and unguarded against, have probably not at any time been responsible for more than one or two per cent of the body’s breakdowns; while, on the other hand, every process with which it fights disease, every trick of strategy which it uses against invading organisms, every step in the process of repair after wounds or injury, is a trick which it has learned in its million-year battle with its surroundings. Take such a simple thing as the mere apparently blind habit possessed by the blood of coagulating as soon as it comes in contact with the edges of a cut or torn blood-vessel, and think what an enormous safeguard this has been and is against the possibility of death by hemorrhage. So well is it developed and so rapidly does it act that it is practically impossible to bleed some animals to death by cutting across any vessel smaller than one of the great aortic trunks. The rapidity and toughness of the clotting, combined with the other ancestral tricks of lowering the blood pressure and weakening down the heart, are so immensely effective that a slash across the great artery of the thigh in the groin of a dog will be closed completely before he can bleed to death. So delicate and so purposeful is this adjustment that the blood will continue as fluid as milk for ten, twenty, forty, eighty yearsas long as it remains in contact with healthy blood-vessels. But the instant it is brought in contact with a broken or wounded piece of a vessel-wall, that instant it will begin to clot. So inevitable is this result that it gives rise tosome of the sudden forms of death by bloodclot in the brain or lung (apoplexy, “stroke”), the clot having formed upon the roughened inner surface of the heart or of one of the blood-vessels and then floated into the brain or lung. Then take that matchless and ingenious process of the healing of wounds, whose wondrousness increases with every step that we take into the deeper details of its study. First, the quick outpouring and clotting of the blood after enough has escaped to wash most poisonous or offending substances out of the wound. This living, surgical cement, elastic, self-moulding, soothing, not only plugs the cut or torn mouths of the blood-vessels, but fills the gap of the wound level with the surface. Here, by contact with the air and in combination with the hairs of the animal it forms a tough, firm, protective coating or scab, completely shutting out cold, heat, irritants, or infectious germs.